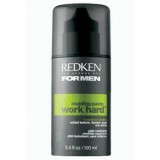 Redken for Men are high-performance grooming solutions with protein and carbs for strength and energy. 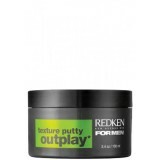 Redken Men's Haircare is focused technology for stronger hair and balanced scalp. Styling that's up to speed with you: Set your style free. Rough it up. Add polish. Give it a push to stand on its own. Acid balanced cleansing bar gently cleanses and restores natural pH. 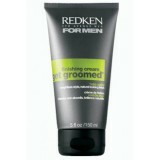 Add a daily dose of strength with this shampoo from Redken. It cleans fast, removes oil and b..
Instantly smooth your hair with no extra weight while moisturising with a natural shine. ..
Get Groomed Finishing cream keeps it smooth! Weight-free cream.. Maneuver working wax manipulates your style! Clean, moldable texture lets you d..
Outplay has a crunch-free formula that contains mineral salts for immediate grab and tex.. 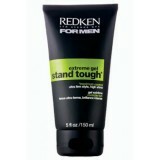 Stand Tough extreme hold gel creates sharp shape, definition and shine. Ionic bond.. 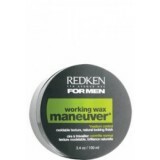 The most popular product in the Redken Men’s Styling range, work hard power paste ..